Asia Minor was called, by the Greeks, “Anatolia” (literally, ”Place of the Rising Sun”, for those lands to the east of Greece). The NW coast of Anatolia was inhabited by Greeks of the Achaean/Mycenaean culture from the 20th century BC. Over several centuries, numerous ancient Greek City States were established on these coasts. 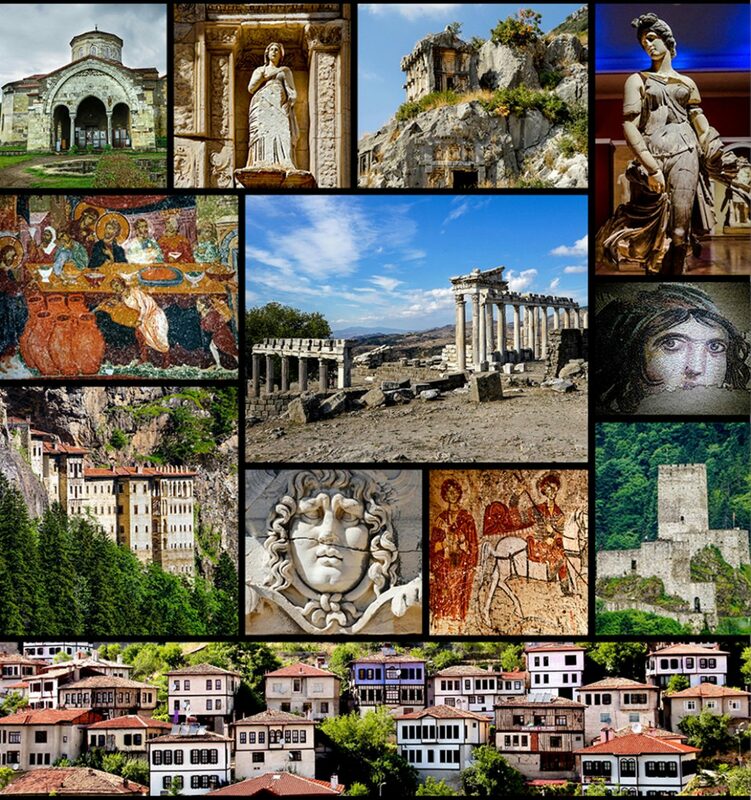 The once magnificent, now ruined, cities that cluster along the Aegean and Mediterranean coasts of Turkey are reminders of a civilization that produced the first Hellenic enlightenment, giving birth to Homer, Herodotus and the first philosophers of nature. In Greek mythology the Black Sea region is the region where Jason and the Argonauts sailed to find the Golden Fleece. The Pontic Greeks had a continuous presence in the region of Pontus and East Anatolia from at least 700 BC. For more three millennia the Anatolian Greeks preserved their identity and culture. No Greek can ponder around here, without feeling a sense of pride, familiarity and affection.